Note from the mamas: It’s the first week of school, which means your tween or teen might be asking for more new clothes, if he or she hasn’t bagged them already. To help you navigate those tricky waters, here’s a great post written by child psychologist Dr. Billy Jones of Mercy Health. Did you know clothing is the No. 1 item purchased by both male and female teenagers? It’s true. The second is shoes for girls and video games for boys. I’ve read that teens spend approximately $150 billion dollars per year on clothing alone…yeah, billion. 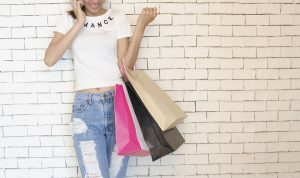 I’ve heard several theories about the financial aspects of dressing your adolescent with everything ranging from doing extra chores to help pay for the clothes to giving them an unlimited amount on the credit card. If the latter is you, then we need to talk…quickly. No tween or teen needs to be given an unlimited amount of money for clothing. I do like the idea of extra chores around the house, though there are certainly times when I will get something for my 11-year-old for no reason other than he asks. When you’re buying back-to-school clothing, you need to have a budget and your tween and teen can be included in helping with that budget. Adolescents are not typically realistic with money, and this is an excellent opportunity to help give them some perspective on life. I’m afraid I can’t give you an exact amount you should spend on back-to-school shopping, as it will depend on your financial situation and personal preference. If I had to guess (please no letters about the guess), it would be $200-$400. This is only back-to-school clothing costs and does not include school supplies. Also, this only refers to back-to-school time rather than the entire year. And, yes, I understand that some tennis shoes cost that much alone; however, they are not worn by my children. If tennis shoes cost more than my electric bill, they are too expensive. To help understand what clothing is popular, and what is not, you can consult various fashion magazines and their websites. Magazines such as Seventeen, Teen Vogue, and GQ are good places to start. Or, you could ask my wife since she’s always up to date on the latest trends. I never thought I would compliment someone on their shoes and/or purse, but alas, I do. Living with my wife has taught me more than I ever wanted to know about clothing. After consulting fashion magazines to see what the latest styles may be, you can search the internet for designer clothes at bargain prices. You can also shop around by going to outlets, thrift stores, and ugh…the mall. Dressing modestly is a must, and I won’t budge on this one. I’ve seen WAY too much flesh on tweens and teens who come through my office, or just out in public. I will say this…If a girl advertises her goods, someone will answer her ad. Guys are on the prowl and their eyes, hands, and hormones are running wild at this age. If your daughter raises her arms and her tummy is showing, then you need to consider whether this outfit is too short for her. I have also seen parents who try to dress like their teenager, which is just embarrassing. From a developmental and emotional standpoint, clothing is an important way for adolescents to express themselves and give a glimpse of who they are. Simply buying the most expensive, or popular, clothing does not automatically give you style. Manners, charm, and confidence (and a few other things) are required. This is the time for adolescents to learn who they are, who they want to be, and who they do not want to be. So, let’s all be realistic when buying clothing, especially with finances…we must also be sensitive to the fact that your tween and teen wants to be accepted and, as mentioned in a previous article, wants to avoid embarrassment. Having clothing that’s similar to others at school is one way they feel they can avoid embarrassment, which may give them some sense that they’re going to be automatically accepted. Though we know this is not true, they may not have yet learned this simple fact. At the same time, they want to establish their individual needs and style, and this is the time they will do so. 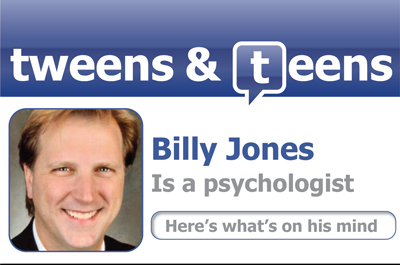 Dr. Jones is a child psychologist with Mercy Health System of Northwest Arkansas. 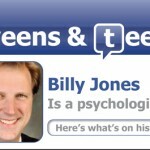 Click here to read previous articles on Tweens & Teens. Got a question for Dr. Jones? Send it to us (we won’t use your name) and we may feature it in an upcoming installment of Tweens & Teens.